Moira Shearer on the set of The Red Shoes. 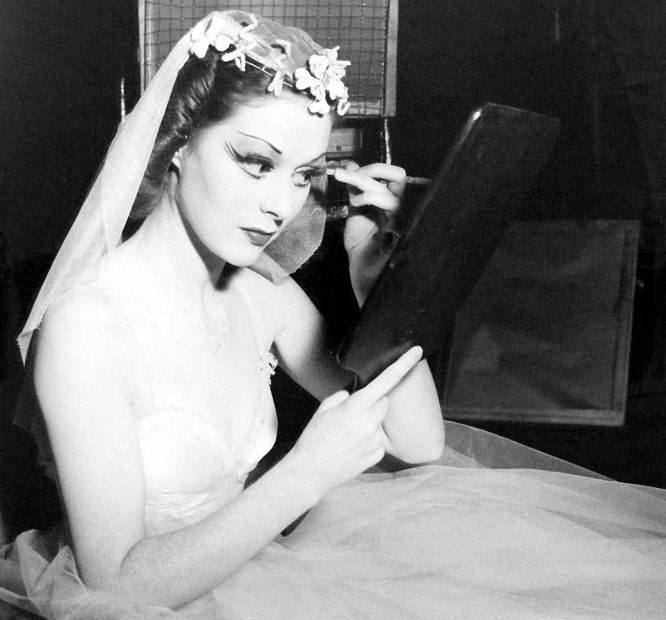 Moira Shearer perfects her makeup on the set of The Red Shoes (1948). Check out this great portrait of Michael Powell & Emeric Pressburger ! 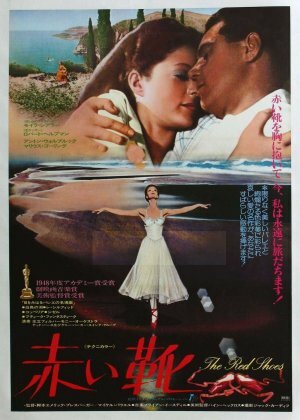 Posted on July 13, 2013 July 11, 2013 Categories JulyTags Emeric Pressburger, make-up, Michael Powell, Moira Shearer, The Archers, the red shoes1 Comment on Moira Shearer on the set of The Red Shoes. 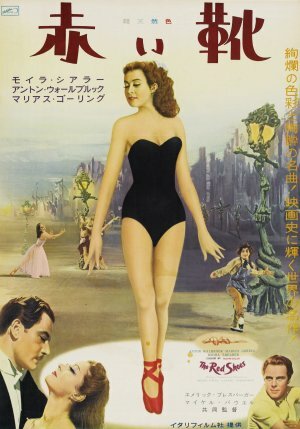 As part of our never-ending tribute to Japanese posters and Japanese art, I have the pleasure of presenting these lovely Japanese posters of a personal favorite film: “The Red Shoes” (1948), directed by The Archers, Powell & Pressburger. 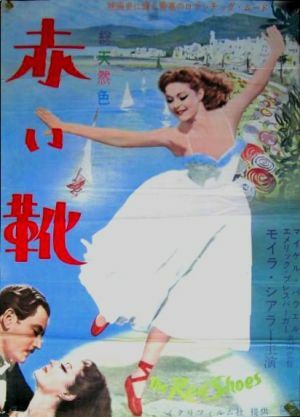 This gruesome adaptation of the Hans Christian Andersen novel, was publicized for in Japan through the following images. (Unknown artist). I am not th author of these images.